Cubans look at the damage caused by the storm at Havana's Malecón, three days after Hurricane Irma passed over Cuba. The damage from Hurricane Irma, which struck Cuba just more than two weeks ago, is still evident in Havana. The Malecón, the city's famous seaside promenade, is closed and undergoing repairs in several spots where the storm's 30-foot waves not only damaged the balustrade, but undermined the seawall itself, leaving holes in the roadway. In Vedado, an area directly behind the Malecón, heavy rains and water from the waves caused flooding nearly 10 feet deep, destroying the contents of many ground floor apartments for between three to five blocks inland. Throughout the city, many trees are at least partly stripped of leaves. The city's ubiquitous palms seemed to have kept most of their fronds, but they are scarred by the saltwater that was carried well inland by Irma. Otherwise, wind damage appears to be minimal. Broken trunks of trees are visible not only in Vedado but also in Miramar, an area to the west of Central Havana, but all the streets have been cleared of debris, and traffic is moving freely. There were reports of some collapsed buildings, but there was no obvious signs of widespread destruction of that severity. 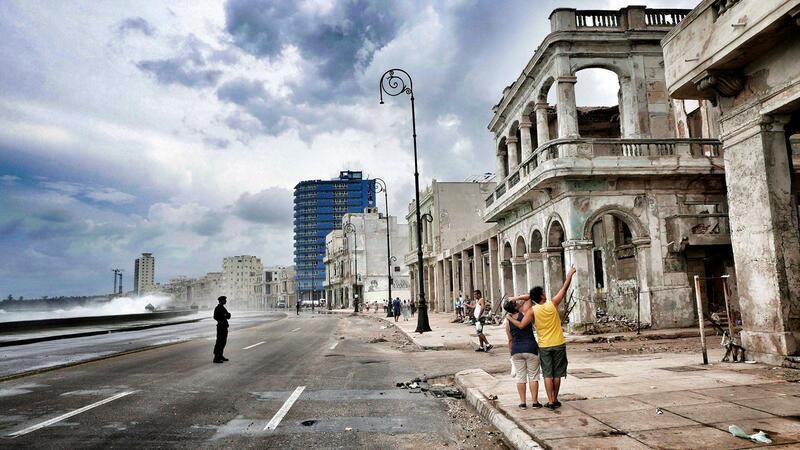 Nearly everyone has a story of heartbreak from ruined homes, and the fright of being in a storm the magnitude of Irma, which struck Cuba's northern coast east of Havana on September 6 as a Category 5 storm, with maximum sustained winds of 160 miles per hour. But for the most part, Havana's residents have come through with their resilience intact and are getting on with cleaning up and going back to work. The good news for cigar smokers is that none of the city's main La Casa del Habanos appear to have suffered any damage. At those shops located in hotels—Habana Libre, Hotel Nacional and the Meliá Habana—generators kept power running for the entire time, so humidors were not even without air conditioning during the first few days after the hurricane, according to shop managers interviewed this week. Large areas of the city were without power for three to five days following the storm. At Club Habana and the Casa del Habano at 16th and 5th Avenida, the managers say their own generators kept the air conditioning on, so the humidors and lockers remained in top condition. None of the shops experienced any flooding, due to their locations either up on small bluffs or raised areas (like the shops inside the Nacional and the Meliá Habana), or they were far enough inland to not be affected, such as the shop at 5th Avenida. Habanos S.A., the official Cuban tobacco monopoly, says it does not have any information about damage to factories in Havana or outside the city. A quick visit to the H. Upmann and El Rey del Mundo factories in Havana confirmed that they are operating normally. A front office person at H. Upmann says the factory was closed for two days right after the hurricane, but that they resumed operations quickly. The El Rey del Mundo Factory, which is one block from the H. Upmann facility, also reported no major issues. In a quick drive-by of El Laguito, the main factory for the Cohiba brand where very few visitors are allowed, the building appeared undamaged.